The emotion in her voice was palpable. After 67 years, her great-uncle, Manuel M. Quintana, was coming home. 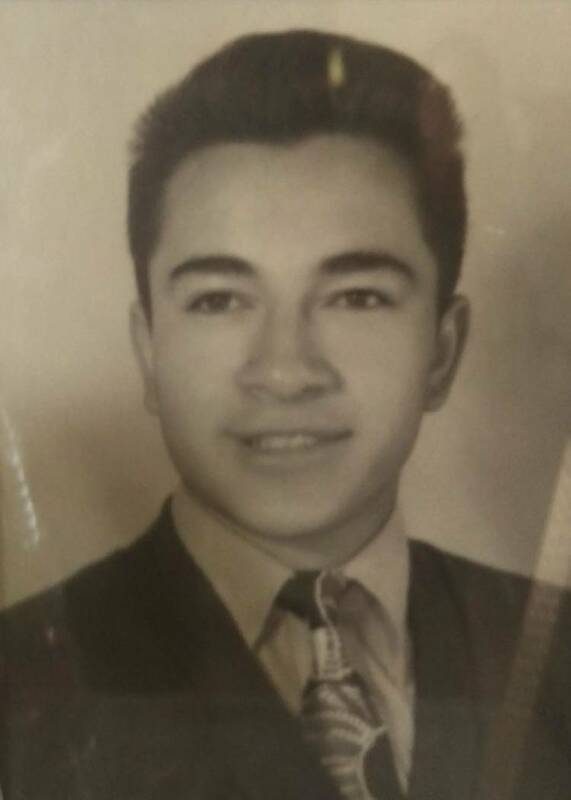 Department of Defense After being declared missing in action on July 27, 1950, the remains of Army Pfc Manuel M. Quintana have been indentified. His body was returned to the United States and he will be buried Friday, May 19, 2017, at the Southern Nevada Veterans Memorial Cemetery. The fact that Isabella McGuff had never met him didn’t matter. In reality, it was the reason why his homecoming was all the more special. Quintana was just 19 years old when he was reported missing in the Korean War. An Army private first class, Quintana was among the first troops to hit the ground when the war started. It is believed he was killed and went missing in the first two days of fighting. It was July 1950, Quintana was a member of Company K, 3rd Battalion, 29th Infantry Regiment. His unit was ordered to move toward Hadong and encountered unexpected enemy forces that quickly overpowered the American troops. Quintana could not be found and was declared missing in action on July 27. McGuff said the Army had discovered two bodies in a shallow grave near the Chinuju-Hadong Highway. They were buried in the Masan United Nations Military Cemetery and his remains were designated as Unknown X-183. In 1951, the graves at Masan were exhumed and transferred to the Army’s Central Identification Unit in Kokura, Japan, according to the Department of Defense’s POW/MIA Accounting Agency. While there were several attempts to identify the remains, limited technology at the time narrowed it down to 41 possibilities. In September 1955, the remains were determined to be unidentifiable and transferred to the National Memorial Cemetery of the Pacific in Hawaii. Fast forward to December 2014. Technology had made major advancements. The family of another soldier reported missing in action asked to have X-183 exhumed and tested. A year and a half later, the body was exhumed for testing. McGuff said about that same time she was contacted by the Pentagon to do DNA testing. After obtaining DNA samples from Quintana’s lone remaining sibling, his sister Mary Moreno, McGuff’s grandmother, and her son David Moreno, officials were “100 percent positive” it couldn’t be anyone else, she said. In March, the family began the process to bring Quintana home. In 67 years, Quintana was never forgotten. Nor have any of his other “brothers from another mother.” Serving in the military creates a familiar bond that never breaks. Bringing Quintana home was essential. “We never leave a family member behind. No matter how long it takes to bring them home,” he said. By making the ultimate sacrifice, he deserves to be immortalized and remembered as the true warrior and hero he was. When Quintana returned home Wednesday, McGuff was on the tarmac to meet her great-uncle, along with her mother and grandmother. He will be buried Friday at the Southern Nevada Veterans Memorial Cemetery with full honors, in a place where he can finally be near his biological family, which now resides in the Las Vegas area, and his military family, which will surround him.